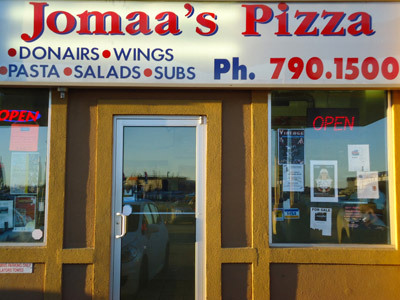 Jomaas Pizza was established in 1990 and has been proudly serving Fort McMurray and surrounding oil sand sites since then with four location located in Downtown, Timberlee, Beacon Hill and Thickwood. We are locally owned and operated. 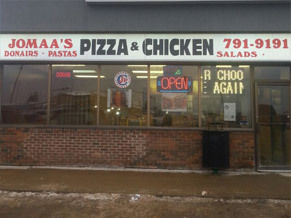 We always strive and are committed to ensure that the quality of food is maintained as per the Alberta Food safety regulations. 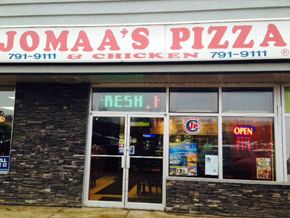 Additionally with our four locations in town we are able to prepare larger orders while maintaining food quality and still adhering to food safety regulations. Moreover, we’re extremely competitive when it comes to providing the best prices, greatest selection and excellent service for our customers. 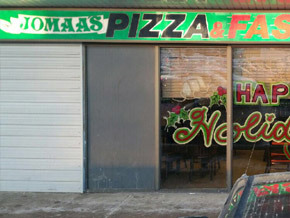 We’ll do everything we can to bring you the best quality food at the best price.